The other day I received an email from Prizey, one of the best sites for blog giveaways. They've changed their format which will allow more listings to post. When the email came in, I didn't have time to sign up right away so I flagged it to do later. I finally signed up SahmReviews.com yesterday then realized I hadn't surfed the ZRecs Network lately. (Nothing against them because I haven't surfed any of my favorite sites lately as I mentioned in yesterday's whiny post.) So this afternoon, I took a few minutes and stopped by ZRecommends to see what they've been up to. 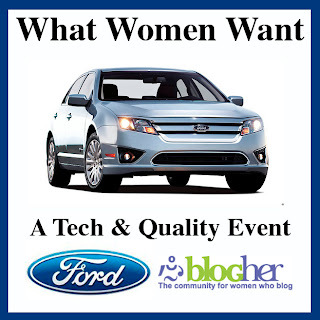 Aside from some great reviews, I found out that they offered a giveaway for a BlogHer ticket and only had a handful of entries. I would have entered that if I realized it but it's been hit or miss lately for me. But in the midst of my reading, I found out they are giving away a three night stay at the Chicago Sheraton, the host hotel for the BlogHer conference! I thought I missed out on two great giveaways until I read the fine print that said they're accepting entries until 11:59 p.m. (CT) on May 1. My heart dropped a little as I looked at the calendar and said to myself "That's today!" We've just confirmed arrangements with the Sheraton Chicago Hotel & Towers, host of the 2009 BlogHer conference, to give away a three-night, executive-perk stay at the Chicago Sheraton for the nights of July 23-25. Those nights include the night before the BlogHer conference begins, plus the two nights of the conference, and the room they've reserved for our winner is on the hotel's Executive Club Level, with no strings attached - no rack rate, no taxes, no access fees, just a free three-night stay at one of Chicago's top hotels. What's the big deal about executive? Well, the Executive Club Level not only has a nice lounge with incredible views, but they offer daily complimentary breakfast, hors d'oeurves each evening and snacks and beverages throughout the day. The BlogHer room block has high-speed internet access, but that's a perk that BlogHer put together for their room block. The executive, however, offers free high-speed internet, office supplies and PC/Mac workstations as their standard fare. Although there isn't much time left to enter, if you're quick then you can do still make the deadline. Head to ZRecommends for all the details! And if you aren't entering, at least wish me luck because I would love to win! I saw your twitter and stopped by to read your blog. Thanks for letting us all know about it! I Love Chicago. I so hope you win.